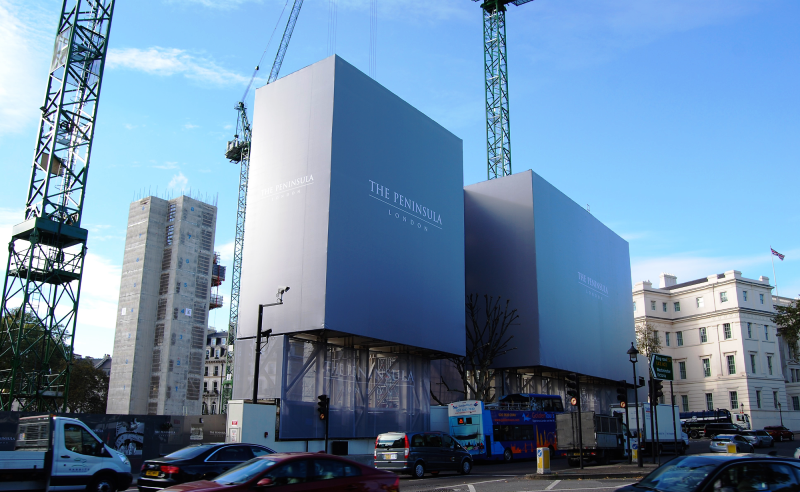 Embrace have completed another successful building wrap installation on the The Cadogan Estate in London. 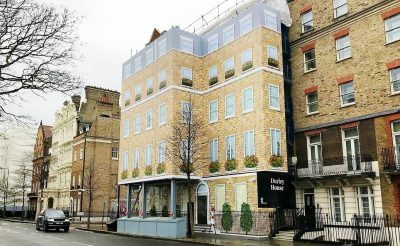 The property, located at 57 Sloane Gardens in Chelsea, is being redeveloped into five residential apartments whilst retaining and enhancing the original red brick façade. This has required this installation of unsightly scaffolding to support the external and internal works.  Embrace Buildings were appointed by Cadogan Estates to provide a full, end-to-end project management solution for the project. 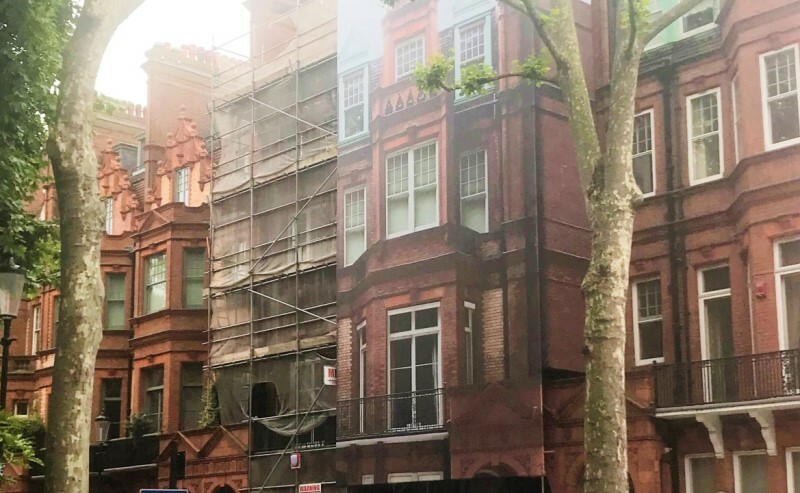 In order to fully disguise and conceal the scaffolding we set out to produce an exact one-to-one scale design replica of the property frontage in banner form. 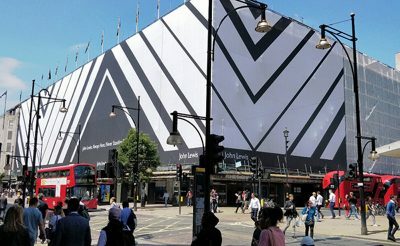 By producing a ‘trompe l’oeil’ design that would trick the eye of anyone passing by it would appear that there was no disruption at all at the property at all. After taking high resolution photos of the building using poles and ladders from a location directly adjacent the image was then digitally manipulated to appear head on. Next the creative was retouched, with details such as windows being closed, curtains and blinds installed and all of the brick work being electronically cleaned to remove moss and water stains – all ensuring that the wrap would look its best. To create impact from all angles we extended the brick work back around on the side return and ensured that the exact details lined up seamlessly with the property next door.